Facebook isn’t settling for just finding long-lost acquaintances, a new job, or even a date — the social media network will now help users find mentors. 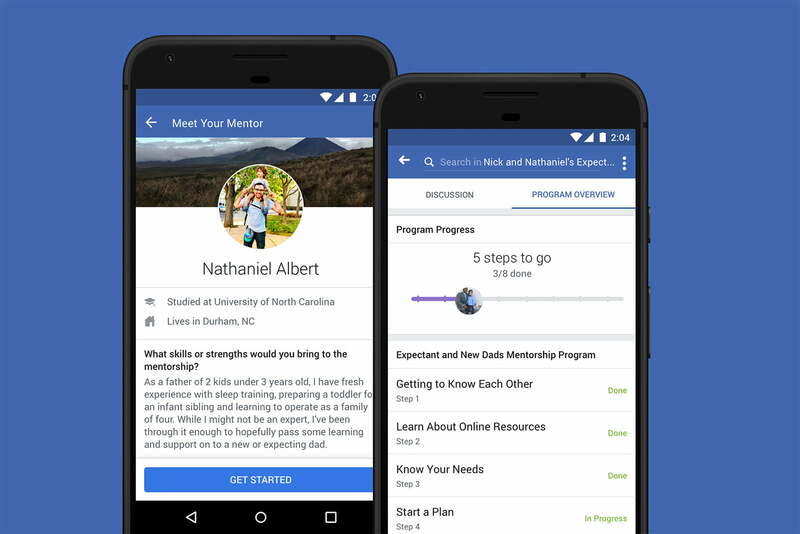 On Thursday, August 9, Facebook launched Mentorship, a program within Groups that helps users find a mentor for professional or personal development or parenting. Teased last year, Mentorship pairs two group members together for one-on-one support. The feature isn’t open to every group, but groups within patenting, professional development, and personal development categories can qualify. Adding the feature is up to the Group administrator, however. Group administrators need to create the program first, using one of the templates that come with the new feature. Template programs allow admins to select a type of program, including career advancement, skill development, and encouragement. Once a mentorship program is created, users within that group can sign up and note if they want to be mentored or if they want to mentor someone else. The Group administrator is responsible for creating mentor pairs. On Facebook, the two can communicate inside a mentorship program page or within Messenger. Facebook says it included guides within each type of program, including encouraging the pair to check in with each other at least once a week. The program lists a number of steps and shows progress within that process. The Mentorship page also includes a few details about the other user participating. Facebook says it built the feature while considering privacy and safety. The mentorship communication isn’t publicly available or visible to the group administrator, just the two in the mentorship program. The program also isn’t available to users under 18 and offers the same reporting and blocking tools that users have on posts. Facebook says that tests of the program helped early users find support, including one user who turned a hobby into a business and a parenting group for LGBTQIA mothers.